Technology that helps safeguard drivers and passengers is flourishing. Vehicle manufacturers are adopting sophisticated driver safety systems as standard equipment. The problem is, what happens in the event of a system failure? You have more than likely experienced the “blue screen of death” on a Windows-based computer, or the endless spinning wheel on a Mac. Technology is not impervious to errors and hiccups. In fact, when it comes to electronics and computers, system failure is commonplace. As technology is increasingly integrated into vehicle operating systems, we’re presented with a whole new set of issues to deal with… namely, what happens when technology and manufacturer defects collide? 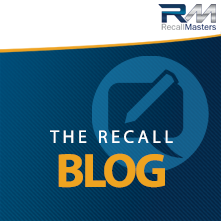 It’s one thing for an OEM to identify a mechanical issue and issue a recall notice. Franchise dealers are prepared to fix these situations if the parts and experienced technicians are available. However, it’s quite another matter when these recalls involve technology – or, even worse, a mechanical failure in combination with a technological one. Keep in mind that technology controls many of the vital mechanical systems in a vehicle – from lane correction and braking systems to power steering and airbag deployment. To further compound the problem, a recall could be a mechanical issue, a technology issue, or both at the same time. Our industry has embraced safety as a selling differentiator to consumers, so it’s only right to follow through when it comes to deliverables. Consumers rely on the technology in their vehicles to keep them safe. But it only takes a failure of technology to render their vehicle inoperable and leave them pretty helpless. Or, even worse, to result in an accident. In fact, modern vehicles can be hacked to such a degree that an outside party can take control of steering and brakes – a huge safety concern. As vehicles continue to become more computer-based, manufacturers, and the general public have good reason to be concerned. Even Tesla has issues with its advanced technological features, such as self-driving mode, which has caused more than a few deaths. As of this moment, most recalls involve mechanical issues, but that will change in the not too distant future. A recent article in Automotive News shares that a study by AAA found that even minor incidents can be very expensive to repair. I’m not suggesting that consumers stick with old-school vehicles with little or no technology, but that introducing new technology into vehicles introduces a whole new set of problems when it comes to driver and passenger safety. And these are issues we should be looking at closely, and acknowledgr that manufacturing defects will ensue.